Visitors come from the countries, India & United Kingdom. Topics: Serviceswhat We Do, Web Design & Content Management, Development & Programming, and Website Hosting & Servers. advantec-internet.co.u.. About Web design Company in Hampshire, Advantec: E-commerce ..
advantec-internet.co.u.. 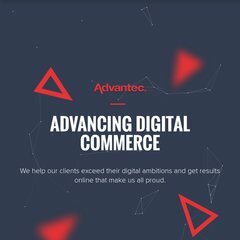 Contact Web design Company in Hampshire, Advantec: E-commerce ..
advantec-internet.co.u.. Web hosting and dedicated server hosting Hampshire, Surrey, Dorset ..
On average 1.90 pages are viewed each, by the estimated 445 daily visitors. county-glass.co.uk Sealed Unit, Glass Processing, Toughened Glass manufacturer in ..
ceielectrical.co.uk Electricians in Hampshire: CEI Electrical provide the complete ..
Its 3 nameservers are ns3.livedns.co.uk, ns1.livedns.co.uk, and ns2.livedns.co.uk. It is hosted by Dedicated Server Customers (England, Northampton,) using Microsoft-IIS/6 web server. The programming language environment is ASP.NET. PING www. (217.172.129.210) 56(84) bytes of data.